While in Italy this past summer I visited the most dreamy cheese shop called Giolito Formaggi in Bra. I purchased a large block of parmesan, carefully wrapping it in wax paper and then shrink wrapped so it would travel well in my suitcase back to the states. Sadly my block of cheese is almost gone now so I wanted to find a very special recipe to use my last little bit in. Jennifer at Savory Simple had just what I was looking for. 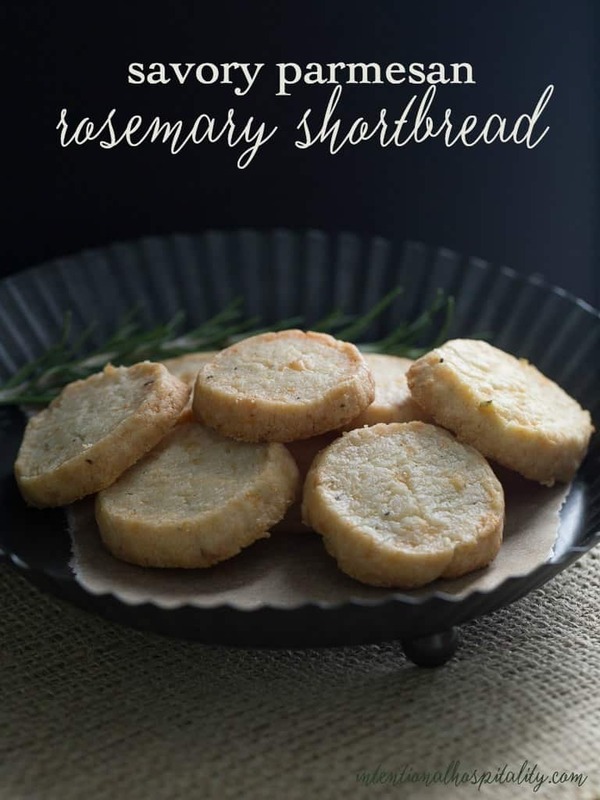 I adapted her recipe and created my Savory Parmesan Rosemary Shortbread. 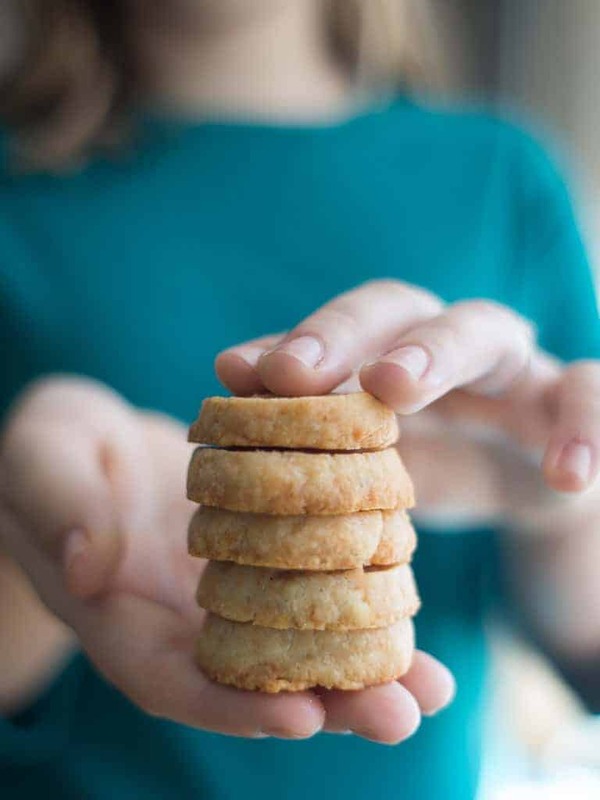 This shortbread recipe is the perfect savory I was looking for to use my last bit of Italian parmesan from Giolito. The little shortbreads were a hit with everyone in the family. So much so, my daughter kept asking if I was finished photographing for this post so she could eat them for breakfast. They will be perfect to make ahead for a party. Just mix the dough, form into a log and freeze. When you have guest and need a quick savory aromatic appetizer all you have to do is slice and bake. Your guest will be so impressed. 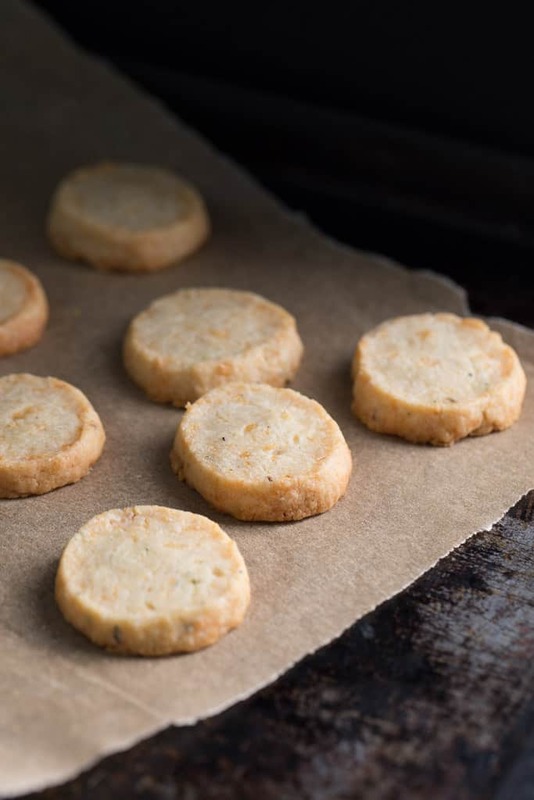 Savory Parmesan Rosemary Shortbread would also be great to give as a gift or take along as an appetizer to share at parties. 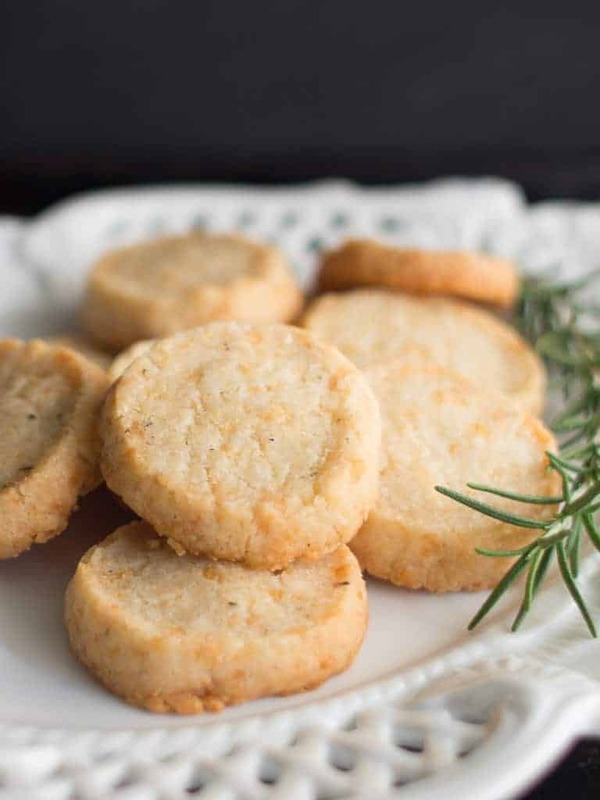 Savory Parmesan and Rosemary Shortbreads are easy to make and elegant to serve. Place the butter in a stand mixer with the paddle attachment and mix butter on medium until creamy. Add the parmesan, salt, pepper, herbs and flour one at a time until evenly combined. Add 1 tablespoon of water to help bring the dough together. Slice shortbread 1 inch thick. Place on parchment lined cookie sheet. Bake for approximately 22-25 minutes, just until they turn golden on the edges. These look absolutely fabulous! I want to go to Italy and bring back cheese! Definitely going to pin these to make during the holidays!